Already at the height of summer, we would like to remind you the equipment we offer for the preparation of drinks at Sammic: citrus fruit juicers for cafes, commercial multi-juicers, commercial blenders and drinks mixers. Whatever the needs of the professional user, we can offer the right equipment. 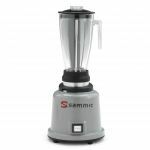 Sammic industrial citrus fruit juicers are robust and sturdy and come in manual and lever versions. The latter facilitate the task for the worker, reducing splashes and making juice extraction cleaner. Both models are designed for a production of 200 oranges/hour. Their design with a stainless steel body is very attractive on the bar and very easy to clean. 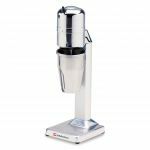 The commercial multi-juicer LI-240 by Sammic, manufactured with Swiss technology, is constructed in stainless steel and its high performance is perfect for the most demanding users. It has a large waste container (3.25 l), which enables continuous use. The baskets is very robust and is equipped with stainless steel blades and strainer mesh. This juicer also has a continuous waste ejection system, and has a “turbo” button, for cleaning the basket and balancing any vibrations of the machine. It is easy to use and clean, as a disposable plastic bag can be placed in the spacious waste container. It is very easy to assemble and disassemble. And for higher production needs, there is the commercial multi-juicer LI-400, with a power of 400 W, a polished aluminium body and high production. 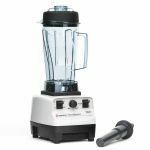 The commercial blenders TB-1000 and TB-2000 are ideal for making purees, grinding, grating, etc., and also are perfect for hospitals, geriatric care homes and, in general, for establishments where foods need to be blended by finely. 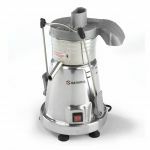 The commercial blender TB-2000 has a highly resistant polycarbonate decanter with a capacity of 2 litres, variable speed that can reach 28,000 rpm and a burst button. Optionally, it can come with a decanter of 1.5 litres and silent housing for greater comfort in the work area or when working in proximity to the public. 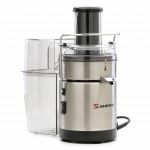 The blender for food and drink TB-1000 has a decanter of 1.2 litres and 2 speeds. And for preparing all types of milkshakes and cocktails, nothing beats the drinks mixer BB-900, for all types of drinks and milkshakes and equipped with a 1-litre stainless steel decanter.